I’m writing to follow-up on my earlier post about Dr. Angela Gonzales’s bike ride to raise money for the Hopi Cancer Assistance Fund. 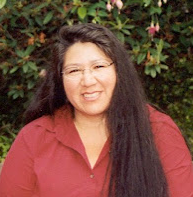 Angela is both a tribal member and a Professor at Cornell University working with the Hopi Tribe to develop educational interventions to increase cervical cancer screening among Hopi women. After months of planning, it’s almost time for her to begin her 1,539 mile bike ride down the Pacific Coast. I’m writing to ask you to consider making a donation in support of her effort to raise $10,000 for the Fund. Angela has been working in partnership with The Hopi Foundation and the Hopi Cancer Assistance Fund and has raised over $5,000. With your assistance I am certain she can reach her goal of $10,000. You can donate online with a credit or debit card at http://www.razoo.com/story/Hcaf. If you prefer to donate by check or money order, you can find instructions on how to do so on her blog, Angela Bikes 4 Hopi. All donations are tax-deductible and 100% of the proceeds raised will directly benefit Hopi cancer patients and their families. Throughout the ride Angela will post periodic updates and photos to her blog. I encourage you to bookmark the page so you can check in on her progress. She made a couple of recent posts to the blog, including an interactive Google map that shows the route she will be riding and the places she will staying. Thank you for considering a donation in support of Angela’s effort to raise money for the Hopi Cancer Assistance Fund. I know that the best advertising is by word of mouth, and so in addition to your own donation I would like to ask you to pass this message on to at least three of your closest family members, friends, or work colleagues who might be interested in contributing. Please also consider sharing this post on your Facebook page, Twitter feed, blog, and other social networks. Working in the spirit of nami’nangwa and sumi’nangwa, we can help Angela meet (and hopefully exceed) her $10,000 fundraising goal for this great cause.